Four muscles make up the quadriceps, the big one above the knee is the one which many bike riders crave, it’s called the vastus medialis oblique. Riders who remain seated a lot and push bigger gears often have larger vastus medialis oblique muscles. 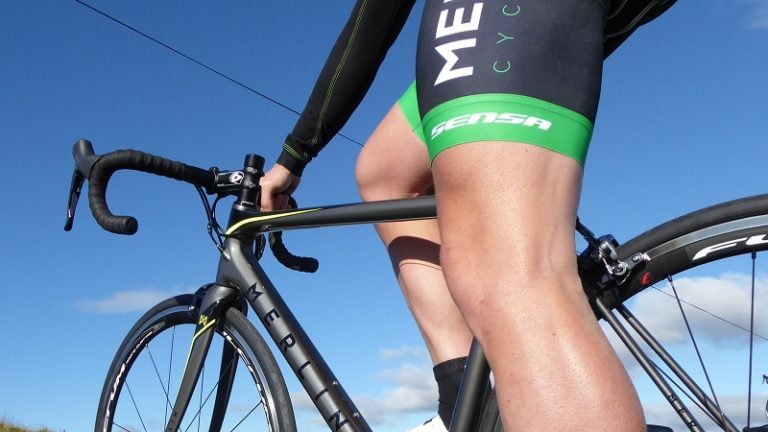 Pro riders who train daily, also tend to have well-developed quads. As well as on the bike training, extra specific gym work can help build muscle – ideally this should be done with guidance from a personal trainer. As well as doing extra training, eating protein rich foods can help your body gradually adapt. Stand with your feet slightly wider than hip width. Bend your knees until your thighs are parallel to the ground. Don’t extend your knees past your toes. Return to standing. That’s one rep; do 2 to 4 sets of 15 to 20, with 1 to 2 minutes of rest between sets. Start without weights to practice smooth steady movement. Once you have nailed the technique, add weights holding them at your side. As you increase weights, make sure you are still holding the correct position. On the bike specific quad training is similar to power building technique. After a decent warm up, find a long steady climb and ride it seated, in a bigger gear than you would normally ride, at around 60rpm. Concentrate on holding your riding position as the gradient and gear size start to take their toll (and your legs shout at you to stop). At those times when you are not at the gym or on the bike, it is still possible exercise your quads. Place your back against a flat wall and drop your thighs parallel to the ground—knees should be at a 90-degree angle, with your feet flat on the floor. Arms can be crossed or at your sides. Hold the squat for 30 to 60 seconds. Take a 30-second break. Repeat four to six times. In those random moments through the day, tense your quad muscles. Hold for a five seconds at a time and relax for five seconds. Repeat as many times as you can, or untill you start to get strange looks from work colleagues. As well as all the extra time and effort in terms of training, make sure you allow enough time for your body to recover and rebuild. Training without proper rest is more likely to be less effective. The weekly hours of solid gym work which track sprinters endure, have the effect of developing massive quads as well as an all-round well muscled physique. 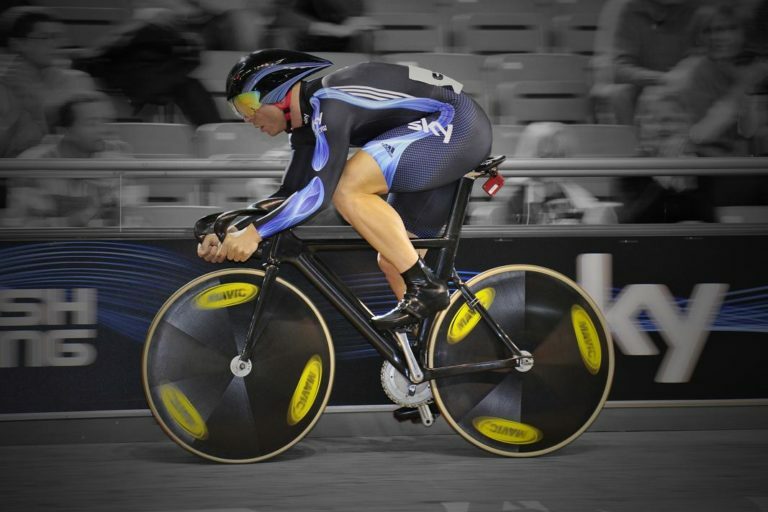 Six times Olympic Gold Medalist, Sir Chris Hoy, was known to leg press 630kg’s. However, If you are a general weekend / club rider, massive quads might not be that useful. Bigger muscles burn more calories, buying clothing for your lower half becomes a nightmare, and do you actually need quads that big to win the village sign sprint on your sunday club-run anyway? If you are keen to supersize your quads, building strong core and upper body muscles, at the same time as working your legs, will assist in the transfer of any extra power from your legs. Just focussing on quads is a bit like fitting a bigger engine to a car, without upgrading the gearbox, chassis and braking. Guidance from a weight training expert could build your all-round physique and deliver gains on the bike. 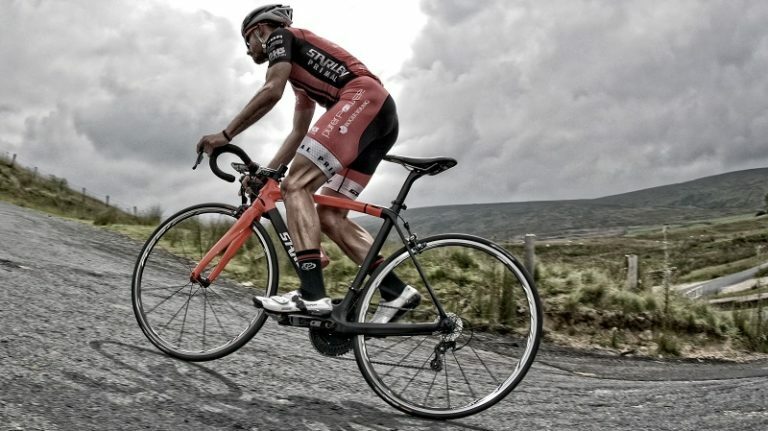 Tagged cycling legs, cycling quads, Hoys Legs, quads cycling, quadzilla cycling. Bookmark the permalink.